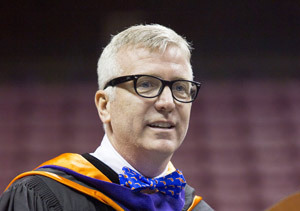 U.S. District Court Judge Mark Walker in Tallahassee has ruled that state universities and colleges are suitable early voting sites, rejecting the latest sophistry emitted by Gov. RICHARD LYNN SCOTT and Secretary of State KEN DETZNER. Three cheers for Judge Mark E. Walker, plaintiffs (League of Women Voters of Florida, Inc., The Andrew Goodman Foundation Inc., Megan Newsome, Amol Jethwani, Mary Roy a/k/a Jamie Roy, Dillon Boatner, Alexander Adams, and Anja Rmus) and all of their lawyers at the Perkins Coie law firm, supported by the Andrew Goodman Foundation. We're waiting to hear the response of Florida Supervisors of Elections to the decision. I've reached out to St. Johns County Election Supervisor Vicki Oakes on the issue, filing my records request no. 2018-252. U.S. District Judge Mark Walker's decision is another voting rights setback for Gov. Rick Scott's administration. TALLAHASSEE — Gov. Rick Scott's elections officials showed "a stark pattern of discrimination" in blocking early voting at state college and university campuses, a federal judge ruled Tuesday. The decision by U.S. District Judge Mark Walker is yet another voting rights defeat for the Republican governor, and could yet emerge as an issue in his campaign to unseat three-term Democratic U.S. Sen. Bill Nelson. Walker issued a preliminary injunction that directs Scott's chief elections official, Secretary of State Ken Detzner, to tell all 67 counties that they can use campus buildings for early voting this fall. Detzner has until Friday to tell the judge he will obey. Walker ruled that a 2014 state opinion that banned early voting on campus violates three amendments to the U.S. Constitution. "Simply put, (the state) opinion reveals a stark pattern of discrimination," Judge Walker wrote. "It is unexplainable on grounds other than age because it bears so heavily on younger voters than on all other voters. (The state's) stated interests for the opinion (following state law, avoiding parking issues, and minimizing on-campus disruption) reek of pretext." Read the controversial opinion here. Walker in effect expanded the definition of early voting sites, adding "any such site as may be related to, designed for, affiliated with or part of a college or university." His 40-page decision said the state's policy had the effect of creating "a secondary class of voters" — college students — who can't vote early in locations where they work, study and live. "Throwing up roadblocks in front of younger voters does not remotely serve the public interest," Walker wrote. "Abridging voting rights never does." The judge's order, five weeks before a statewide primary election, is sure to prompt some counties to shuffle their list of early voting sites to include on campus buildings that up to now have been prohibited. Nelson reacted to the court decision on Twitter, but made no mention of the governor. Other Democratic politicians also seized on the decision. The judge noted the growing popularity of early voting in the nation's third-largest state and that nearly 830,000 students were enrolled at state colleges and universities in 2016, that more than a fourth of the people who voted in 2016 were under age 30, and that early voting is especially popular among college students. Alachua County Supervisor of Elections Kim Barton said she will reach out to UF to consider early options for the November general election, but it is too late to shift early voting sites for the Aug. 28 primary. Barton said her duty is "to provide all Alachua County voters equal access to early voting." Six current or former students at UF and Florida State brought the lawsuit, backed by the Andrew Goodman Foundation and the League of Women Voters of Florida. "This is truly a victory for the citizens of Florida, especially with so many young people motivated to vote," said League of Women Voters President Patricia Brigham. "This is the right decision, at the right time, for our democratic process … We especially congratulate the students who raised their voices for a fair democracy. These young leaders are a positive example to us all." Five years ago, the Florida Legislature passed and Scott signed a law that expanded early voting hours and sites. The action was in response to the curtailment of early voting a year earlier in 2012, when President Barack Obama was seeking re-election. The 2012 law brought widespread denunciations from Democrats and voter advocacy groups who accused Republicans of trying to suppress the vote in 2012. The 2013 law expanded the definition of early voting sites to include "government-owned community centers." But when the city of Gainesville asked the state in January 2014 if that definition covered the J. Wayne Reitz Student Union building on the UF campus, the state said no, for one reason: that is was "designed for, and affiliated with, a specific educational institution." But that interpretation defied logic, Walker reasoned, because the 2013 law allowed early voting at stadiums and libraries — both of which exist on the UF campus. Walker, who was nominated to the federal bench by Obama in 2012, was first in his class at UF and received his law degree there. Detzner was the named defendant in the case, but his office issued no comment and referred media requests for comment to Scott's office. When the lawsuit was filed in May, Scott called it "frivolous" and "an election-year gimmick." Scott's office issued a statement that said: "Governor Scott is proud to have signed the largest expansion of early voting in the state's history. We will review this ruling." Scott's office declined to say whether the state will appeal the decision. Last November, a 22-year-old recent University of Florida graduate, Megan Newsome, wrote an opinion column in The Gainesville Sun that argued for a solution that was "common sense in nature: Allow public colleges and universities to be early voting locations." The lawsuit soon followed. Florida is home to 12 public universities and 28 state and community colleges. ECF No. 24, Ex. I, at 7 (“Rodden Report”). Four of the 10 largest public universities in the United States are in Florida. Id. For example, the University of Florida (“UF”) in Gainesville—revered by many as Florida’s first and finest institution of higher education—enrolls more than 52,000 students, 9,000 of whom live on the campus’s three centrally located square miles. Id. at 11, 18–19. Nearly 68 percent of Gainesville’s voting-age population is affiliated with UF and nearby Santa Fe College. Id. at 9; ECF No. 24, Ex. H, at 2.
al. Report”). Almost 107,000 staff members worked at these public institutions. Id. Put another way, the number of people who live and work on Florida’s public college and university campuses is greater than the population of Jacksonville, Florida—or the populations of North Dakota, South Dakota, Alaska, Vermont, Wyoming, and the District of Columbia. In November 2016, 2.4 million men and women under the age of 30 were registered to vote in Florida. ECF No. 24, Ex. B., at 7 (“Smith Report”). They comprised more than one quarter of the 9.5 million Floridians who voted that election. Id. at 6. 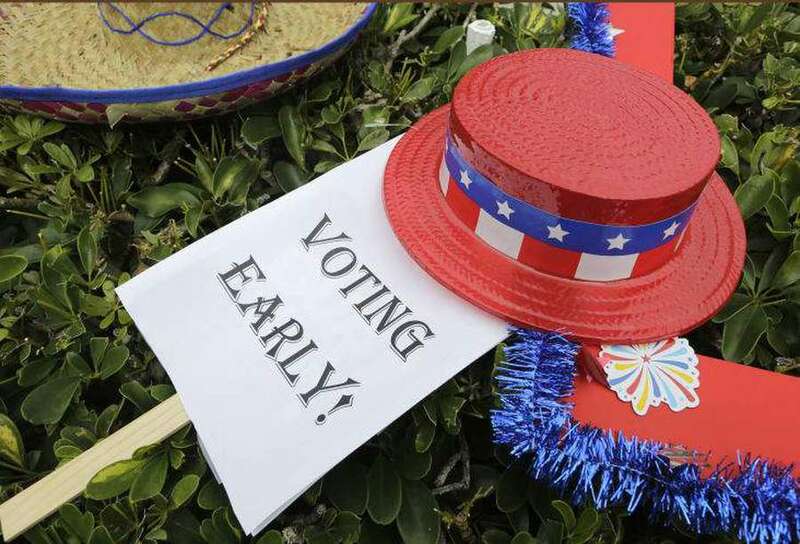 Many of them chose to vote early, a popular form of voting in Florida.1 In 2012, roughly 2.4 million Floridians of all ages—or 28.1 percent of the electorate—voted early. Smith Rep., at 5. That number rose in 2016 to more than 3.9 million Floridians of all ages—or approximately 40.3 percent of all those who voted—who cast their ballots at an early voting site. Id. at 4. Early voting is especially popular among college students. They vote early at a higher rate in Florida than the national average. In the 2012 election, 16 percent of college students across the country voted early; that number increased to 18 percent in 2016. Levine, et al. Rep., at 14. In Florida, 29 percent of college students voted early in 2012. Id. In 2016, 43 percent of Florida’s college students voted early. Id. 1 This case is about early voting. This Court uses the term “early voting” or “vote early” as synonyms for “in-person early voting.” This is different than absentee or mail-in voting. It is also different than voting on Election Day; on-campus polling places are permissible on Election Day. Despite early voting’s popularity among Florida’s college students, no early voting site can exist on a college or university campus. As a direct result of Secretary of State Kenneth Detzner’s (“Defendant”) Opinion DE 14-01 (the “Opinion”), ECF No. 24, Ex. A,2 issued through the Division of Elections, none of the nearly 830,000 students enrolled in a public university or college can vote early on campus. And none of the 68 percent of Gainesville residents affiliated with UF or Santa Fe College can vote early where they work, study, or, for thousands of students, live. This Court has considered, after hearing on July 16, 2018, Plaintiffs’ motion for preliminary injunction. ECF No. 22. The issue is whether the Secretary of State’s Opinion that categorically bars early voting on any university or college campus violates the First, Fourteenth, and Twenty-Sixth Amendments to the U.S. Constitution. It does. The motion is GRANTED. 2 This Court refers to the Opinion throughout this Order as Defendant’s Opinion even though Maria I. Matthews, the Director of the Division of Elections, signed the Opinion. The Division is part of the Florida Department of State, the body through which the Secretary of State issues “formal opinions on the interpretation of election laws.” ECF No. 33, at ¶ 14. No. 24, Ex. C, at 4. Supervisors of elections attributed these “excessive and unreasonable waiting times” to several factors, including “inadequate voting locations.” Id. Under Florida law, supervisors of elections have discretion to designate certain eligible locations as early voting sites. Fla. Stat. § 101.657(1)(a) (“The supervisor may also designate . . .”) (emphasis added). In 2012, however, supervisors of elections could only designate their offices, city halls, or public libraries as early voting sites. ECF No. 24, Ex. C, at 7–8. Defendant recommended that Florida’s legislature amend its early voting statute to expand what qualifies as an eligible early voting site. Id. at 7. “If given the flexibility to choose more and larger sites, supervisors could more effectively select early voting locations that meet the geographic needs of their voters and reduce the wait times at these locations,” Defendant urged. Id. at 5. 24, Ex. D. Nor did the legislature pass other proposed bills that, among other things, explicitly identified universities and colleges as eligible early voting sites. See ECF No. 24, Exs. K, L, & M.
In January 2014, Defendant, through the Division of Elections, issued the Opinion in response to Gainesville’s City Attorney’s question whether the J. Wayne Reitz Union, located on UF’s campus, fit within the “government- owned community center” or “convention center” language in the Early Voting Statute. ECF No. 61, Ex. 1. A group of UF students had approached the Gainesville City Commission about placing an early voting site on campus, prompting the City Attorney to seek clarification from Defendant. Id. Reitz Union. Id. Besides citing the unadopted amendment to the Early Voting Statute and other unadopted bills, Defendant offered no other rationale. 3 Plaintiffs have standing. This Court addresses Defendant’s standing arguments in its Order Denying Defendant’s Motion to Dismiss. ECF No. 64, at 12–14. of Florida student who has voted both early and on Election Day in past elections. ECF No. 31, at ¶¶ 3, 5. Plaintiffs Newsome, Jethwani, Roy, and Rmus are residents of and registered to vote in Alachua County. ECF No. 30, at ¶ 2; ECF No. 29, at ¶ 2; ECF No. 32, at ¶ 2; ECF No. 31, at ¶ 2. Plaintiff Boatner is currently registered to vote in Volusia County but intends to change his registration this fall to Alachua County, where he spends the academic year. ECF No. 26, at ¶ 2. Plaintiff Adams is a resident of and registered voter in Leon County. ECF No. 25, at ¶ 2. Defendant is Florida’s Secretary of State. Under Florida law, the Secretary of State is the “chief election officer.” Fla. Stat. § 97.012. He is required to “[o]btain and maintain uniformity in the interpretation and implementation of the election laws.” Fla. Stat. § 97.012(1). He provides “written direction and opinions to the supervisors of elections on the performance of their official duties.” Fla. Stat. § 97.012(16). The supervisors of elections treat Defendant’s opinions as “authoritative” and follow them “absent contrary directive.” ECF No. 33, at ¶ 16.
transportation system. ECF No. 32, at ¶ 5.4 In one municipal election, they had to travel on two buses from their home to their voting location, which took between 40 and 60 minutes each way. Id. at ¶ 7. Megan Newsome has helped organize a one-day shuttle program between campus and the polling place during the early voting period. ECF No. 30, at ¶ 8. Using the shuttle involved multiple waiting points for participants— waiting for the shuttle to fill before leaving, waiting in line to vote, waiting for all individuals to finish voting, and then driving back to campus. Id. Each trip took approximately one hour. Id. Some students were unable to use the shuttle because they did not have an hour to spare in their schedules on that day or they sought the shuttle out after the shuttle program ended. Id. at ¶ 9. In other elections, Ms. Newsome has asked other people for rides or hired Uber cars for the round-trip from campus to the early voting location. Id. at ¶ 10. Amol Jethwani, meanwhile, helped coordinate rides to voting locations, exerting significant effort in identifying drivers, coordinating riders, and synchronizing suitable times for the rides. ECF No. 29, at ¶¶ 9–10. All individual Plaintiffs emphasize that an early voting site on-campus would lighten the burdens on their voting rights. Id. at ¶ 20; ECF No. 25, at ¶ 17; ECF No. 26, at ¶ 23; ECF No. 30, at ¶ 19; ECF No. 31, at ¶ 15; ECF No. 32, at ¶ 11. 4 Plaintiff Roy identifies as gender-queer and prefers the use of the gender-neutral pronoun “they.” ECF No. 16, at ¶ 19. Before reaching the merits of Plaintiffs’ motion, this Court addresses some threshold issues. First, this Court rejects Defendant’s argument that the Pennhurst doctrine precludes this Court from considering this case. Defendant conjures Plaintiffs’ federal claims into state claims. See ECF No. 45, at 2 (“The Plaintiffs have now put this Court in a position of interpreting state law and then requiring state officials . . . to follow that federal interpretation of state law.”) (emphases in original). This attempt to scurry out of federal court is a swing and a miss. Plaintiffs have brought forth federal claims. “Since the plaintiff has alleged a violation of the federal Constitution, Pennhurst does not apply.” Brown v. Georgia Dep’t of Revenue, 881 F.2d 1018, 1023 (11th Cir. 1989). This Court would be on thinner ice if Plaintiffs were asking this Court to compel Defendant to abide by a federal judge’s interpretation of the Early Voting Statute—and then this Court charged ahead and did so. seek this Court to interpret and enjoin Defendant on the basis of state law. ECF No. 47, at 1. It is axiomatic that federal courts can review state or local laws alleged to be unconstitutional. See, e.g., District of Columbia v. Heller, 554 U.S. 570, 636 (2008) (invalidating District of Columbia’s ban on possession of handguns in the home as a violation of the Second Amendment); Loving v. Virginia, 388 U.S. 1, 12 (1967) (invalidating Virginia law restricting marriage based on racial classifications as a violation of the Fourteenth Amendment). It is also “beyond dispute that federal courts have jurisdiction over suits to enjoin state officials from interfering with federal rights.” Shaw v. Delta Air Lines, Inc., 463 U.S. 85, 96 n.14 (1983) (citing Ex parte Young, 209 U.S. 123, 160–62 (1908)); see also Armstrong v. Exceptional Child Cent., 135 S.Ct. 1378, 1384 (2015) (citing Osborn v. Bank of United States, 9 Wheat. 738, 838–39 (1824) and Ex parte Young, 209 U.S. at 150–51) (“[W]e have long held that federal courts may in some circumstances grant injunctive relief against state officers who are violating, or planning to violate, federal law.”). The best analogues are those federal invalidations of restrictive interpretations of state election laws. In 2012, a federal judge examined Ohio election statutes and the Ohio Secretary of State’s interpretations of those statutes, which created different deadlines for military and non-military early voters. Obama for Am. v. Husted, 888 F. Supp. 2d 897, 899–902 (S.D. Ohio 2012). The court enjoined the state from enforcing those laws as a violation of the First and Fourteenth Amendments. Id. at 911. The Sixth Circuit affirmed. Obama for Am. v. Husted, 697 F.3d 423, 437 (6th Cir. 2012). In affirming, the Sixth Circuit described how the Secretary “construed” Ohio law “to apply the more generous [early voting] deadline . . . to military and overseas voters.” Id. at 427. This resulted in “particularly high” burdens on the impacted non- military voters. Id. at 431 (internal quotation marks omitted). 5 This Court is persuaded by Judge O’Neill’s characterization: “[I]n deciding a question of federal law, I am not bound to follow a state agency’s interpretation of state law.” United States v. Landsdowne Swim Club, 713 F. Supp. 785, 795 n.22 (E.D. Pa. 1989). 324 F. Supp. 2d 1358, 1369 (N.D. Ga. 2004). The Georgia law detailed how “a person may apply to register to vote by completing and mailing” an application form. Id. at 1366. The Secretary, however, interpreted the law to require how “‘a person’ may register by sending one application in an individual envelope” to the Secretary. Id. (emphasis added). Plaintiff, a non-profit organization engaging in voter-registration drives, submitted more than one application in a bundle, which the Secretary rejected. Id. at 1360–61. The district court construed the Secretary’s interpretation as a state policy, id. at 1366, and determined the Secretary violated federal law in rejecting the bundled registrations. Id. at 1368. 6 In an accompanying Order Denying Defendant’s Motion to Dismiss, this Court determined Defendant’s arguments regarding the limited scope of the Opinion to be disingenuous and therefore unpersuasive. ECF No. 64, at 9–10. “give broad and substantial deference” to such opinions. ECF No. 53, at ¶ 6. They do not act contrary to the opinions because, as a practical matter, “it takes enough effort to administer elections without adding controversy”—such as acting, or being perceived to act, inconsistent with the Secretary’s opinion. Id. Even more, the Secretary of State sends copies of opinions to supervisors of elections, which “do not contain qualifying language to suggest the advisory opinions are narrowly limited in their application.” Id. at ¶ 4. Therefore, the supervisors reasonably understand the state’s chief election officer’s opinions as how he “interpret[s] and [is] likely to enforce Florida’s election laws.” Id. That all supervisors of elections follow Defendant’s opinions is no surprise. Turning now to the Opinion’s scope and language, this Court first examines what prompted it. A group of UF students approached the City Commission and requested an early voting site be placed on campus. ECF No. 61, Ex. 1, at 1. The Gainesville City Attorney, writing to Defendant, explained the Commission “desires to provide for early voting as allowed by state law.” Id. She then asked: “Would the Reitz Union on the University of Florida campus qualify as a government-owned community center or a convention center for purposes of early voting under the recently amended Section 101.657, Florida Statutes?” Id. at 2. 7 Defendant’s counsel ably and understandably attempted to narrow the Opinion’s scope as merely interpretations of “convention center” and “government-owned community center.” ECF No. 62, at 85–87. Doing so requires ignoring the whole Opinion, including Defendant’s rationale. Plaintiffs move for preliminary injunction, seeking this Court to enjoin Defendant from prohibiting county supervisors of elections from placing early voting sites on college or university campuses and to require Defendant to issue a directive to the supervisors of elections informing them of this Court’s order and its effects. ECF No. 22, at 2.
this Court’s authoritative answer to one law clerk would extend to other law clerks, whose plans for office decorations would be unceremoniously scuttled. 9 In Bonner v. City of Prichard, 661 F.2d 1206, 1209 (11th Cir. 1981) (en banc), the Eleventh Circuit adopted as binding precedent all decisions of the former Fifth Circuit handed down prior to October 1, 1981. Courts examine alleged violations of the First and Fourteenth Amendment’s fundamental right to vote under a balancing test—the so-called Anderson-Burdick test. Voting is the beating heart of democracy. It is a “fundamental political right, because [it is] preservative of all rights.” Yick Wo v. Hopkins, 118 U.S. 356, 370 (1886). “It is beyond cavil that ‘voting is of the most fundamental significance under our constitutional structure.’” Burdick v. Takushi, 504 U.S. 428, 433 (1992) (quoting Ill. Bd. of Elections v. Socialist Workers Party, 440 U.S. 173, 184 (1979)). Voting also requires extensive administration, planning, and logistics. “[T]here must be a substantial regulation of elections if they are to be fair and honest and if some sort of order, rather than chaos, is to accompany the democratic processes.” Storer v. Brown, 415 U.S. 724, 730 (1974). justifications for the burden imposed by its rule,’ taking into consideration ‘the extent to which those interests make it necessary to burden the plaintiff’s rights.’” Burdick, 504 U.S. at 434 (quoting Anderson v. Celebrezze, 460 U.S. 780, 788 (1983)). When rights are subjected to “‘severe’ restrictions, the regulation must be ‘narrowly drawn to advance a state interest of compelling importance.’” Id. (quoting Norman v. Reed, 502 U.S. 279, 289 (1992)). When rights are subjected to “reasonable, nondiscriminatory restrictions” then “the state’s important regulatory interests are generally sufficient to justify” the restrictions. Anderson, 460 U.S. at 788. “However slight that burden may appear . . . it must be justified by relevant and legitimate state interests ‘sufficiently weighty to justify the limitation.’” Crawford, 553 U.S. at 191 (controlling op.) (quoting Norman, 502 U.S. at 288–89). This Court assumes for the purpose of the following First and Fourteenth Amendment analysis that Defendant’s Opinion is a “reasonable, nondiscriminatory restriction.”Anderson, 460 U.S. at 788. As explained infra, at 30–34, the Opinion is facially discriminatory on account of age. But even after construing it under a more deferential “reasonable, nondiscriminatory” lens, the Opinion falters under Anderson-Burdick because it disparately imposes significant burdens on Plaintiffs’ rights weighted against imprecise, insufficiently weighty government interests. 1. Defendant’s Opinion Imposes Significant Burdens on Plaintiffs. Contrary to Defendant’s characterizations, Plaintiffs’ burdens are more than de minimis. Defendant’s Opinion imposes significant burdens on Plaintiffs’ First and Fourteenth Amendment rights. 10 The district court respectfully made this characterization “without intending any denigration” to the plaintiffs in that case. 2018 WL 1940300, at *12. There, Plaintiffs had to drive between 25 and 30 minutes to the early voting site or had to pay for public transportation. They also faced parking difficulties and long lines. Id. at *5.
v. Va. State Bd. of Elections, 843 F.3d 592, 601 (4th Cir. 2016). Voters are not entitled to have “every polling place . . . be precisely located such that no group had to spend more time traveling to vote than did any other.” Id. Conceivably, then, a college student having to travel to vote early would perhaps not face a substantial burden under Anderson-Burdick because of her commute. But those are not the facts here. Florida’s public college and university students are categorically prohibited from on-campus early voting because of Defendant’s Opinion. This is not a “nonsevere, nonsubstantial, or slight burden.” Common Cause Ind., 2018 WL 1940300, at *12. This is not a mere inconvenience. The Opinion lopsidedly impacts Florida’s youngest voters. Disparate impact matters under Anderson-Burdick. A majority of the Crawford Court determined that “[i]t ‘matters’ in the Anderson-Burdick analysis . . . whether the effects of a facially neutral and nondiscriminatory law are unevenly distributed across identifiable groups.” Common Cause of Ind., 2018 WL 1940300, at *13 (quoting Crawford, 553 U.S. at 216 (Souter, J., dissenting)); see also id. at n.18 (identifying six-justice Crawford majority agreeing that disparate effects across identifiable groups matter). constitutionally untenable. See Bush v. Gore, 531 U.S. 98, 104–05 (2000) (“Having once granted the right to vote on equal terms, the State may not, by later arbitrary and disparate treatment, value one person’s vote over that of another.”); Dunn v. Blumstein, 405 U.S. 330, 336 (1972) (“[A] citizen has a constitutionally protected right to participate in elections on an equal basis with other citizens in the jurisdiction.”); and Harper v. Va. Bd. of Elections, 383 U.S. 663, 665 (1966) (“[I]t is enough to say that once the franchise is granted to the electorate, lines may not be drawn which are inconsistent with the Equal Protection Clause of the Fourteenth Amendment.”). Admittedly, the Early Voting Statute authorizes early voting as “a convenience to the voter.” Fla. Stat. § 101.657. Constitutional problems emerge, however, when conveniences are available for some people but affirmatively blocked for others. “Once a unit of government has decided to administer a benefit or impose a burden, it must do so rationally and equitably, without offense to independent constitutional prohibitions.” Common Cause of Ind., 2018 WL 1940300, at *11. Defendant does not do this. transforms these “mere inconvenience[s]” to an abridgment of the right to vote. ECF No. 45, at 25. Dr. Rodden’s report scrutinizes in great detail the Opinion’s lopsided effects on college students. See generally Rodden Rep.11 He first examines the travel times within communities with large universities using the census block group as the basis for comparison. Dr. Rodden summarizes that in eight of these communities there is “a pronounced difference in travel times between dorm-dominated [and student-dominated] block groups” and the at-large community. Id. at 64. Travel times to the nearest early voting site are “significantly longer” from census block groups with large college-student populations than those census block groups without such populations. Id. at 2. He then compares those travel times to similar communities without large universities. “[C]ommunities with dorm populations always have greater inequalities in travel times across neighborhoods than their ‘non-dorm’ matches.” Id. at 73–74. These longer travel times are even more glaring when considered in conjunction with three additional data-based conclusions. First, college students’ residences are generally clustered on or near campus. Id. at 20, Fig. 11 This Court finds Dr. Rodden’s report to be credible. His methodology is sound. His data originates from the most recent Five-Year American Community Surveys, the Florida Department of State, Google Maps (for analyzing travel times), U.S. News and World Report (for analyzing parking and car usage), and the National Center for Education Statistics. Rodden Rep., at 6–7. 1 (showing concentration of Gainesville’s college population, including six census block groups where more than 75 percent of residents live in dorms); 30, Fig. 5 (Tallahassee); 37, Fig. 9 (Miami); 44, Fix. 13 (Orlando); and 52, Fig. 17 (Tampa). Second, these areas contain some of the most densely populated areas of a community.12 Id. at 21, Fig. 2 (Gainesville’s population density); 31, Fig. 6 (Tallahassee); 38, Fig. 10 (Miami), 45, Fig. 14 (Orlando); and 53, Fig. 18 (Tampa). Third, individuals living in these dense campus-centered areas are disproportionately without access to cars.13 Id. at 22 (Gainesville’s car access); 32, Fig. 7 (Tallahassee); 39, Fig. 11 (Miami); 46, Fig. 15 (Orlando); and 54, Fig. 19 (Tampa). Moreover, Dr. Rodden draws from credible data in explaining that commuting by biking is “quite rare in Florida,” accounting for between one and five percent of all commutes—not to mention the relatively high levels of bicycle injuries and deaths located near Florida’s university campuses that may dissuade the average commuter. ECF No. 49, at 5. 12 This Court is mindful that some dorm-dominated census block tracks may not be among the most densely-populated area of a community but surrounding census block tracks, populated by students living off-campus, remain among some of the most densely populated areas. Id. at 38, Fig. 10 (Miami), and at 53, Fig. 18 (Tampa). This Court is not persuaded by Defendant’s response to Dr. Rodden. In particular, Defendant measures the walking and biking distance between the nearest early voting site and UF from the very edge of campus. ECF No. 45, at 9–10 (showing a 24-minute one-way walk and an eight-minute one-way bike ride to the early voting site according to Google Maps). The University of Florida is like Hogwarts, which proscribes on-campus apparating—or instantaneous teleportation. Students do not and cannot apparate within the campus. Rather, UF students would begin their treks to the early voting site in downtown Gainesville from various points across campus. For example, it is a 2.5-mile distance from the center of campus at a dormitory like Hume Hall to the early voting site. Rodden Rep. at 26. What is more, the Opinion’s effects fall on a class of voters particularly invested in early voting for multiple reasons detailed in the record. Despite Defendant’s Opinion and its effects, approximately 43 percent of Florida’s college students voted early in 2016—more than the 18 percent of college students who voted early nationally that year. Levine, et al. Rep., at 14. And nearly half a million of the 1.2 million Floridians aged 18 to 29 (including non- college students) in 2016 voted at an early voting site. Smith Rep., at 5–6. decision to vote, as it affects the cost side of the implicit cost/benefit calculation that each prospective voter makes.”); Smith Rep., at 10 (“When it comes to deciding whether to vote an absentee mail ballot, vote early in-person, or vote on Election Day, younger registrants, like their older peers, often seek to maximize convenience.”). Political scientists have long recognized voting’s cost- benefit nature. Id. at 10–11 n.6; Levine, et al. Rep., at 8 n.6. Costs decrease when voters face fewer restrictions to, or at, a polling location. Moreover, the alternatives to early voting are fraught with potential pitfalls. Younger voters casting their ballots on Election Day disproportionately face information costs—“Where is my local polling location? What valid ID do I need to bring? . . . How do I get there?” Smith Report, at 13 (citing multiple academic articles studying the costs of voting). Younger voters are more likely to have their provisional ballots rejected because they have showed up at the wrong precinct, a not uncommon miscalculation for people who move at least once a year from dorm-to-dorm, dorm-to-apartment, house- to-dorm, apartment-to-apartment, Greek-house-to-house, among others. Id. at 14. In Florida, voters aged 18 to 21 had provisional ballots rejected “at a rate more than four times higher than the rejection rate for provisional ballots cast by voters between the ages of 45 to 64.” Id. (emphasis added); see also id. at 15 (displaying table of rejected provisional ballots by age group). Additionally, on-campus voting locations on Election Day are crowded. Dillon Boatner describes “very long lines to vote at the Reitz Student Union, which wrapped through several hallways” on November 8, 2016. ECF No. 26, at ¶ 5. Some “student voters had to wait in line for as long as an hour and a half to cast their ballots.” Id. Ion Sancho describes similar scenes at Florida State University, where “a disproportionately high number of voters (mostly students)” appearing at on-campus voting sites had “changed residential addresses and required time-consuming assistance to update their voter registration,” thereby “lead[ing] to delays that slow the rate” for other people to vote. ECF No. 33, at ¶ 8; see also ECF No. 53, at ¶ 8 (noting historically high volume of voters on Election Day on campuses). In Alachua County, two of the top three—and three of the top six—precincts with the largest number of registered voters are located on UF’s campus. Smith Rep., at 17. On-campus Election Day voting can be, in Defendant’s counsel’s words, “difficult” and “a madhouse.” ECF No. 62, at 66. All the individual Plaintiffs live some distance away from their closest early voting site.14 So do many other people. What is different about Plaintiffs is that Defendant’s Opinion categorically prevents them from an alternative site on a dense, centralized location where they work, study, and, in many cases, live. This prohibition creates significant burdens. 2. Defendant Articulates No Precise Interests Sufficiently Weighty to Justify Plaintiffs’ Burdens on Their Right to Vote. Contrast the lopsided burdens that Defendant’s Opinion imposes on Plaintiffs with Defendant’s interests in it. 14 Alexander Adams lived one mile from the closest early voting site, though he expects his dormitory assignment to change this upcoming semester. ECF No. 25, at ¶¶ 6 & 14. Other individual Plaintiffs live even farther away from their closest early voting site: Dillon Boatner, five miles, ECF No. 26, at ¶ 20; Amol Jethwani, 1.5 miles, ECF No. 29, at ¶ 18; Megan Newsome, five miles, ECF No. 30, at ¶ 15; Anja Rmus, two miles, ECF No. 31, at ¶ 13. All individual Plaintiffs explain that an on-campus early voting site will significantly ease the burdens on their voting rights. ECF No. 25, at ¶ 16; ECF No. 26, at ¶ 21; ECF No. 29, at ¶ 17; ECF No. 30, at ¶ 16; ECF No. 31, at ¶ 15; ECF No. 32, at ¶ 11. ‘sufficiently weighty to justify the limitation.’” Crawford, 553 U.S. at 191 (controlling op.) (quoting Norman, 502 U.S. at 288–89). Here, Defendant fails to articulate “sufficiently weighty,” id. or “important regulatory interests,” Anderson, 460 U.S. at at 788, with any “precis[ion]” to explain why it is “necessary to burden the plaintiff’s rights.” Id. at 789. On the contrary, one must squint hard to identify Defendant’s “important regulatory” and “precise” interests. Id. at 788–89. As best as this Court determined during the preliminary injunction hearing, Defendant articulates three interests in the Opinion: following state law, preventing parking issues, and avoiding on-campus disruption that an early-voting campus site could create. ECF No. 62, at 65–66. 15 At the risk of beating a dead horse, this Court emphasizes that it is not ordering Defendant to comply with a federal court’s interpretation of state law. Pennhurst, 465 U.S. at 106. This Court is examining the Early Voting Statute for the limited purpose of evaluating Defendant’s claimed interests in following state law, an evaluation Anderson-Burdick necessitates. that were not adopted and bills not passed—that is, language not appearing anywhere near the statute. Justice Scalia is more than instructive here. “It is always perilous to derive the meaning of an adopted provision from another provision deleted in the drafting process.” Heller, 554 U.S. at 590. As written, the law does not require supervisors of elections to designate such sites. Nor does the law prohibit supervisors of elections from designating such sites. The law grants discretion to supervisors of elections. The Opinion is a broad answer to a narrow question, effectively inserting a prohibition into an otherwise flexible authorizing statute. See supra, at 13–14. Slapping a gloss over a statute is not the same as following the statute. and parking problems at other early voting locations. See, e.g., ECF No. 29, at ¶ 12 (describing how closest early voting site to UF campus had “influx of students using the various shuttle programs” which “created congestion and resulted in longer wait times”). The above rationales extend to Defendant’s third claimed interest in the Opinion—avoiding on-campus disruption. A supervisor of elections is the more appropriate authority to evaluate the potential disruption an early voting site would create. Moreover, an early voting site would alleviate some of the disruption that exists on Election Day voting sites on campuses. See supra, at 25 (describing long lines and crowds that accompany on-campus voting sites on Election Day). Defendant’s lack of precise interests is all the more glaring when weighted against Plaintiffs’ significant burdens. While a significant burden could be weighed against, and justified by, precise, sufficiently weighty government interests, Defendant has failed to articulate precise and sufficiently weighty interests in the Opinion to justify Plaintiffs’ significant burdens on their voting rights. Plaintiffs have established a substantial likelihood of success on the merits of their First and Fourteenth Amendment claims. Defendant’s Opinion also violates Plaintiffs’ Twenty-Sixth Amendment rights because it is intentionally discriminatory on account of age. The Twenty- Sixth Amendment states that “[t]he right of citizens of the United States, who are eighteen years of age or older, to vote, shall not be denied or abridged by the United States or any state on account of age.” U.S. CONST. amend. XXVI. Courts considering Twenty-Sixth Amendment claims have acknowledged the “dearth of guidance on what test applies.” N.C. State Conference of the NAACP v. McCrory, 182 F. Supp. 3d 320, 522 (M.D.N.C. 2016), rev’d on other grounds, 831 F.3d 204 (4th Cir. 2016); see also Nashville Student Org. Comm. v. Hargett, 155 F. Supp. 3d 749, 757 (M.D. Tenn. 2015) (“[T]here is no controlling caselaw . . . regarding the proper interpretation of the Twenty-Sixth Amendment or the standard to be used in deciding claims for Twenty-Sixth Amendment violations based on an alleged abridgment or denial of the right to vote.”). A consensus has been emerging, however, as recent courts have applied the Arlington Heights standard for Twenty-Sixth Amendment claims. One Wis. Inst., Inc. v. Thomsen, 198 F. Supp. 3d 896, 926 (W.D. Wis. 2016); Lee v. Va. State Bd. of Elections, 188 F. Supp. 3d 577, 609 (E.D. Va. 2016), aff’d, Lee, 843 F.3d 592 (4th Cir. 2016).
. . . suggest[ing] that Arlington Heights provides the appropriate framework” and Anderson-Burdick likely is unfitting because applying it would indicate the Twenty-Sixth Amendment “‘contributes no added protection to that already offered by the Fourteenth Amendment.’” Thomsen, 198 F. Supp. 3d at 926 (quoting Walgren v. Bd. of Selectmen of Amherst, 519 F.2d 1364, 1367 (1st Cir. 1975)).16 Accordingly, this Court applies the Arlington Heights framework to Plaintiffs’ Twenty-Sixth Amendment claim. “The impact of the official action—whether it ‘bears more heavily on one [age-group] than another,’ . . . may provide an important starting point.” Vill. of Arlington Heights v. Metro. Hous. Dev. Corp., 429 U.S. 252, 266 (1977) (quoting Washington v. Davis, 426 U.S. 229, 242 (1976). “Sometimes a clear pattern, unexplainable on grounds other than [age] emerges from the effect of the state action even when the governing legislation appears neutral on its face.” Id. Absent a “stark” pattern, “impact alone is not determinative.” Id. 16 The parties concede that Arlington Heights is an acceptable framework for Plaintiffs’ Twenty- Sixth Amendment claim. ECF No. 36, at 33 n.15; ECF No. 62, at 67.
on-campus disruption) reek of pretext.17 Cf. Veasey v. Abbot, 830 F.3d 216, 235– 36 (5th Cir. 2016) (discussing pretextual characteristics in racially discriminatory election law). While the Opinion does not identify college students by name, its target population is unambiguous and its effects are lopsided. The Opinion is intentionally and facially discriminatory. 17 This Twenty-Sixth Amendment analysis differs from this Court’s Anderson-Burdick analysis, which requires a balancing of burdens and governmental interests. In balancing Plaintiffs’ burdens and Defendant’s interests, this Court presumed the Opinion was nondiscriminatory. Supra, at 17. This Court concluded that Defendant’s interests were, to understate, weak, meaning Plaintiffs’ significant burdens outweighed Defendant’s interests in the Opinion. In the Twenty- Sixth Amendment context, this Court is more willing to call out a pretextual rationale—or “a banana a banana,” in Plaintiffs’ counsel’s words. ECF No. 62, at 72.
into existence.” Id. at 364. Despite “seek[ing] in vain for any ground which would sustain any other interpretation” of the amendment, the Court unanimously determined the provision violated the Fifteenth Amendment because it intentionally targeted a discrete group seeking the vote. Id. So too here. This Court has “s[ought] in vain for any ground which would sustain” a non-discriminatory interpretation of the Opinion both under the flexible Anderson-Burdick standard and now the Twenty-Sixth Amendment. Id. But the Opinion’s scope and effects are clear abridgements of voting rights justified by, at best, weak interests. While Oklahoma in 1910 abridged voting rights by choosing an invidious date to exclude African-Americans from voting, Florida in 2014 limited places to stymie young voters from early voting. Even more, “[t]he historical background of the decision” is another source to reveal “invidious purposes.” Arlington Heights, 429 U.S. at 267. In 2013, Florida’s leading policymakers were expanding ballot access across the board. Defendant even recommended expanding early voting sites and giving supervisors of elections more flexibility. ECF No. 24, Ex. C, at 5 & 7–8. Defendant’s Opinion stands as a shady contraction in a context of expansion and easier access—the only contraction, in fact. procedural sequence” in issuing the Opinion. Id. But following procedural formalities to intentionally discriminate on account of age does not automatically attach constitutionality to a law or policy. If a unanimous Senate, near-unanimous House of Representatives, and 38 ratifying states intended the Twenty-Sixth Amendment to have any teeth, then the Amendment must protect those blatant and “unnecessary burdens and barriers” on young voters’ rights. Worden v. Mercer Cty. Bd. of Elections, 61 N.J. 325, 345 (1972).18 This Court can conceive of fewer ham-handed efforts to abridge the youth vote than Defendant’s affirmative prohibition of on- campus early voting. Because the Opinion is unexplainable on grounds other than age, Plaintiffs have established a substantial likelihood of success on the merits of their Twenty-Sixth Amendment claim. 18 The House of Representatives voted in favor of the Amendment 401-19. 117 CONG. REC. H7569 (Mar. 23, 1971). The Senate voted in favor of the Amendment 94-0. 117 CONG. REC. S5830 (Mar. 10, 1971). Soon afterwards, three-fourths of the States ratified the Amendment. 36 Fed. Reg. 12725 (July 7, 1971). Additional states have ratified the Amendment since its passage. Florida has not. “An injury is ‘irreparable’ only if it cannot be undone through monetary remedies.” Cunningham v. Adams, 808 F.2d 815, 821 (11th Cir. 1987) (quoting Cate v. Oldham, 707 F.2d 1176, 1189 (11th Cir. 1983). “The possibility that adequate compensatory or other corrective relief will be available at a later date, in the ordinary course of litigation, weighs heavily against a claim of irreparable harm.” Sampson v. Murray, 415 U.S. 61, 90 (1974). Accordingly, irreparable injury is presumed when “[a] restriction on the fundamental right to vote” is at issue. Obama for Am., 697 F.3d at 436. Once the election comes and goes, “there can be no do-over and no redress.” League of Women Voters of N.C. v. North Carolina, 769 F.3d 224, 247 (4th Cir. 2014). As this Court explained in another elections-related preliminary injunction order, “[t]his isn’t golf: there are no mulligans.” Fla. Democratic Party v. Scott, 215 F. Supp. 3d 1250, 1258 (N.D. Fla. 2016). Here, Plaintiffs have all articulated irreparable injury to their voting rights that will follow a denial of their motion for preliminary injunction. 19 This Court addresses Defendant’s redressability-related arguments—that granting Plaintiffs’ motion will not guarantee Plaintiffs an on-campus early voting site—in its Order Denying Defendant’s Motion to Dismiss. ECF No. 64, at 7-12. Individual Plaintiffs will have to travel longer and farther to vote early, if they are even able to. See supra at 26, n.14. Some will need to take multiple buses or an Uber to cast a ballot. ECF No. 30, at ¶ 10; ECF No. 32, at ¶ 7. The organizational Plaintiffs’ will suffer irreparable injury because their members will have to expend more resources and time to assist voters in accessing off- campus early voting. ECF No. 27, at ¶ 14; ECF No. 28, at ¶ 18. Those members will also be injured in having an on-campus early voting site affirmatively prohibited by Defendant’s Opinion. ECF No. 27, at ¶ 15; ECF No. 38, at ¶ 18. Considering the constitutional injuries and the one-shot nature of elections, Plaintiffs have established irreparable injury would follow a denial of their motion. This Court next considers whether “the threatened injury to the movant outweighs whatever damage the proposed injunction may cause the opposing party.” Siegel, 234 F.3d at 1176. This is not a close call. On the one hand, the threatened injury is the violation of Plaintiffs’ First, Fourteenth, and Twenty- Sixth Amendment rights—and the First, Fourteenth, and Twenty-Sixth Amendment rights of nearly 830,000 public college and university students across Florida. 20 Defendant also makes an argument that Plaintiffs’ lawsuit is too late because the Opinion is more than four years old. ECF No. 45, at 26–28. Individual Plaintiffs persuasively point out that none of them could vote in 2014; in fact, Alexander Adams is voting for the first time in 2018. ECF No. 47, at 11. It is up to the supervisors of elections to determine if it is “too late” to add on- campus early voting site for the 2018 elections. ECF No. 45, at 28.
government.’” Fla. Democratic Party, 215 F. Supp. 3d at 1258 (quoting Reynolds v. Sims, 377 U.S. 533, 555 (1964)). Voter turnout in the United States is at less than impressive levels. Younger voters turn out at noticeably lower rates than older voters—53 percent for those Florida voters aged 18 to 29 versus 70 percent for all registered Florida voters in 2016. Smith Rep., at 7–8. Throwing up roadblocks in front of younger voters does not remotely serve the public interest. Abridging voting rights never does. This Court is not the Early-Voting Czar. Except for the invalidation of Defendant’s Opinion, nothing must change because of this Order. This Court does not order the supervisors of elections to designate a single early voting site on a single college campus; rather, this Order removes the handcuffs from Florida’s supervisors of elections and restores their discretion in setting early voting sites. 1. Plaintiffs’ Motion for Preliminary Injunction, ECF No. 22, is GRANTED. 3. The Secretary of State shall issue a directive to the supervisors of elections advising them that the interpretation of the Early Voting Statute that excludes from consideration as early voting sites any facilities related to, designed for, affiliated with, or part of a college or university, is unconstitutional and, accordingly, the supervisors of elections retain discretion under the Early Voting Statute to place early voting sites at any city hall, permanent public library facility, fairground, civic center, courthouse, county commission building, stadium, convention center, government-owned senior center, or government-owned community center, including any such site as may be related to, designed for, affiliated with, or part of a college or university. The Secretary shall include in the directive a copy of this Order. 4. The Secretary of State shall file in this Court’s electronic case filing system a Notice of Compliance with the above paragraphs on or before Friday, July 27, 2018. 5. The preliminary injunction set out above will take effect upon the posting of security in the amount of $500 for costs and damages sustained by a party found to have been wrongfully enjoined. Plaintiffs will immediately notify Defendant when the bond has been posted and thereafter file proof of such notice in this Court’s electronic case files systems. SO ORDERED on July 24, 2018.